Ahhh, Christmas: a time for family, food, good cheer and annoying singing Santa… ornaments? Are they ornamental? Are they toys? Singing Santas, anyway. And somehow all the silliness only contributes to the overall atmosphere of loveliness. It’s like being hugged (hygged?) by the world. We’ll ease you in gently. 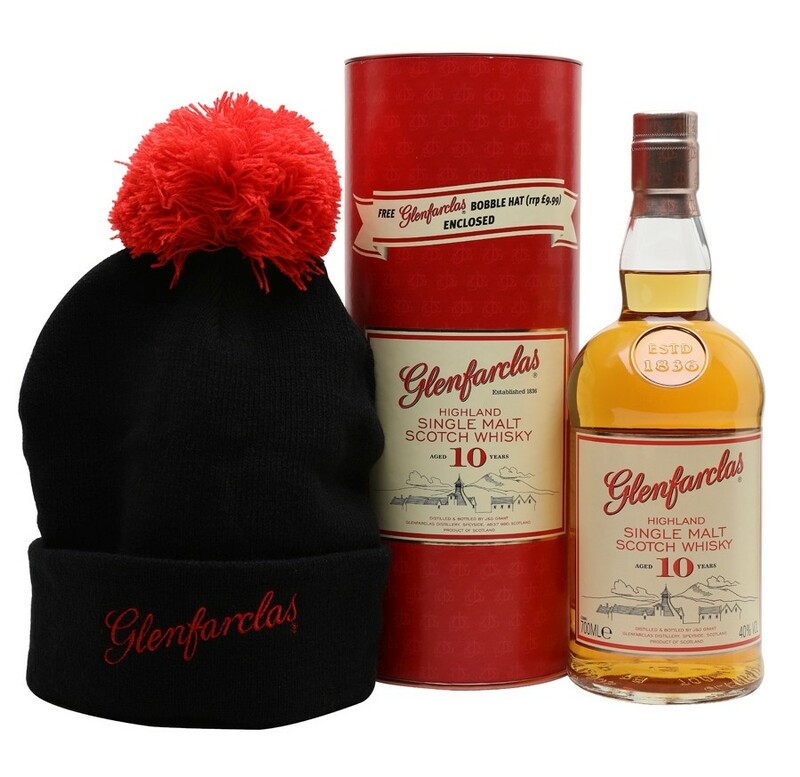 While not necessarily festive per se, nothing screams cosy like sherry-aged single malt and a good woolly hat. We’re running with it, so there. Yes, you did read that correctly, and it’s exactly what it sounds like. 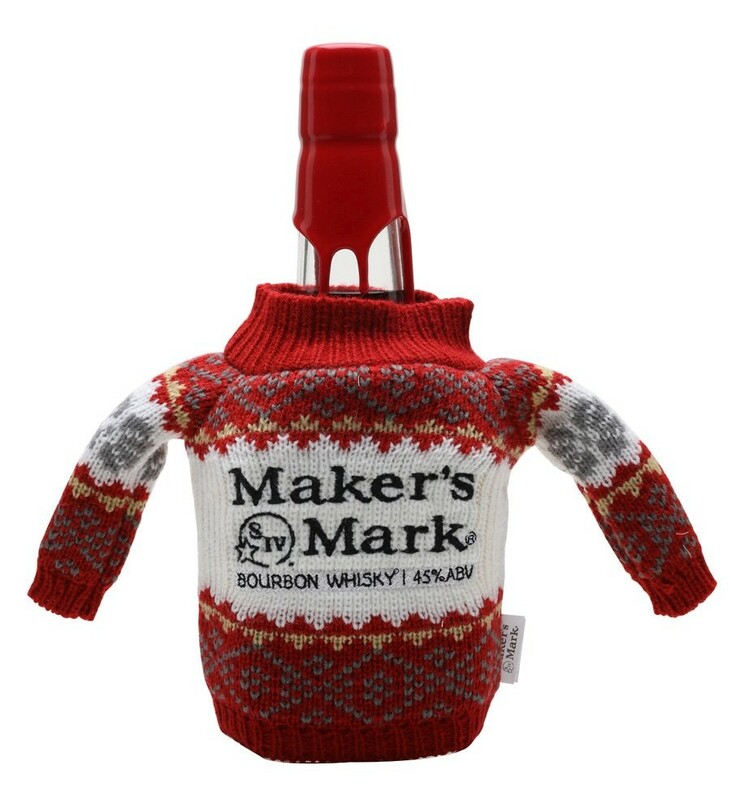 A bottle of Maker’s Mark Bourbon Whisky, swaddled in an appropriately stylish – and presumably very itchy – Christmas jumper, complete with ABV. 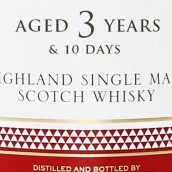 Because nothing says ‘Merry Christmas’ like properly-observed European labelling standards. No, seriously – they make us feel all warm and fuzzy inside. Is it festive? 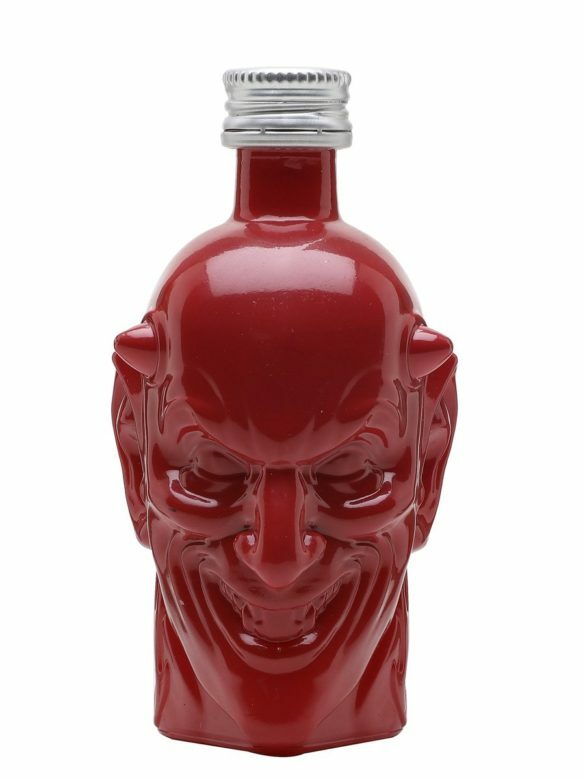 Well it’s certainly red, and with a little tinsel the Fallen Angel becomes a mischievous elf with a cheeky grin; perhaps a friendly, Tumnus-esque, fawn-like character. Oh, and at 5cl, he’s more-or-less bauble-sized. Cute little guy. Bailey’s season fast approaches and, as it happens, so does scoffing-choccies-off-the-tree-before-anyone-else-gets-a-look-in season. 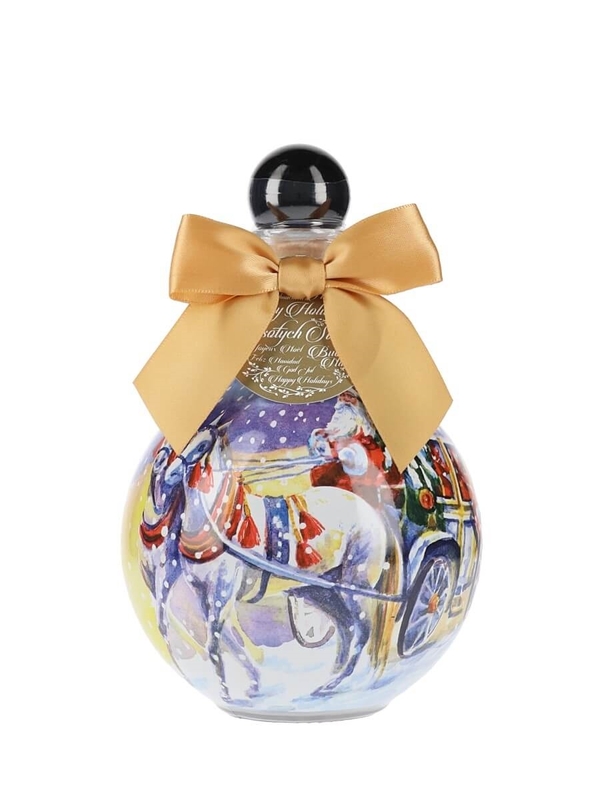 Treat yourself to the best of both worlds with these festive little globes of joy. If Fallen Angel and Mozart make great inadvertent baubles, then these twee, globular Christmas cards from Chopin are advertent, verily. 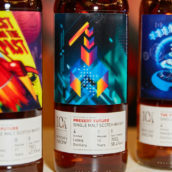 At 50cl though, they might be a tad large to hang daintily from your tree, unless you’re celebrating in an actual ancient Nordic pine forest. 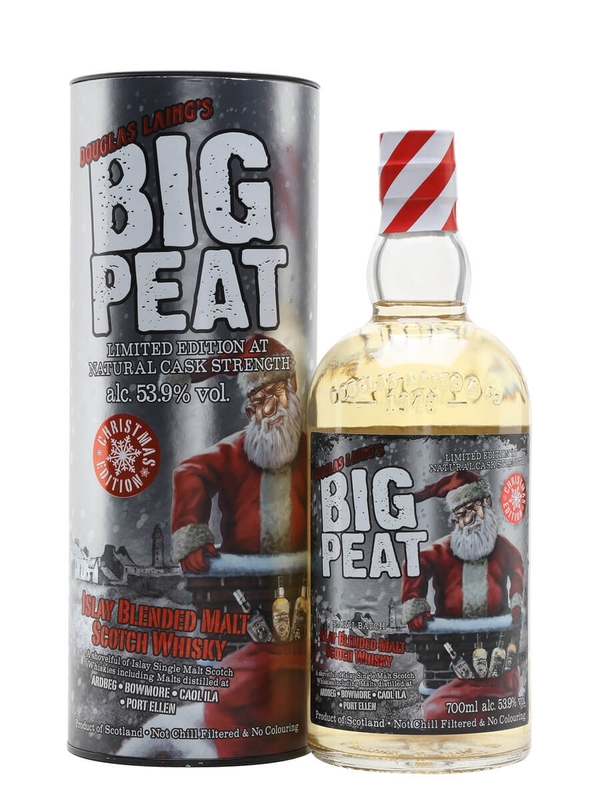 The illustrated personification of flavour himself comes storming back in his whiskyful sleigh, bringing with him another edition of the perennially (obviously) popular, cask-strength, Christmas cheer-inducing dram. If you’ve ever spent the aftermath of Christmas dinner thinking, ‘goodness me, Christmas pudding’s a bit heavy, isn’t it? I wish it was gin instead!’ Then boy, are you in luck. Cam at Four Pillars Distillery distills actual Christmas puddings by putting them in the botanical basket of the Four Pillars still. So, yeah. There you go. Christmas pudding gin, of course. Looking for something a little more sensible? 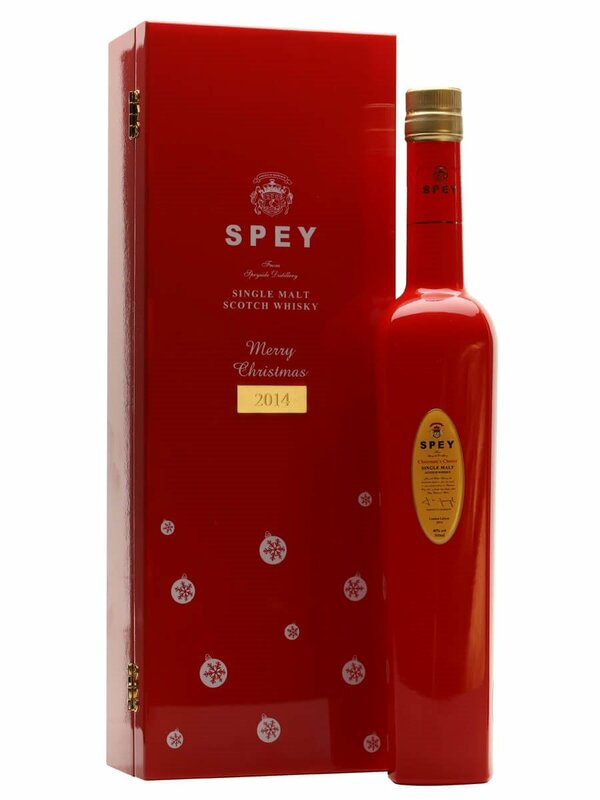 This Speyside single malt whisky follows in the tradition of the Chairman’s Choice, whereby the Chairman of the company would select the best casks to share with his family on Christmas day. A quality dram we’d be proud to pour post-turkey. 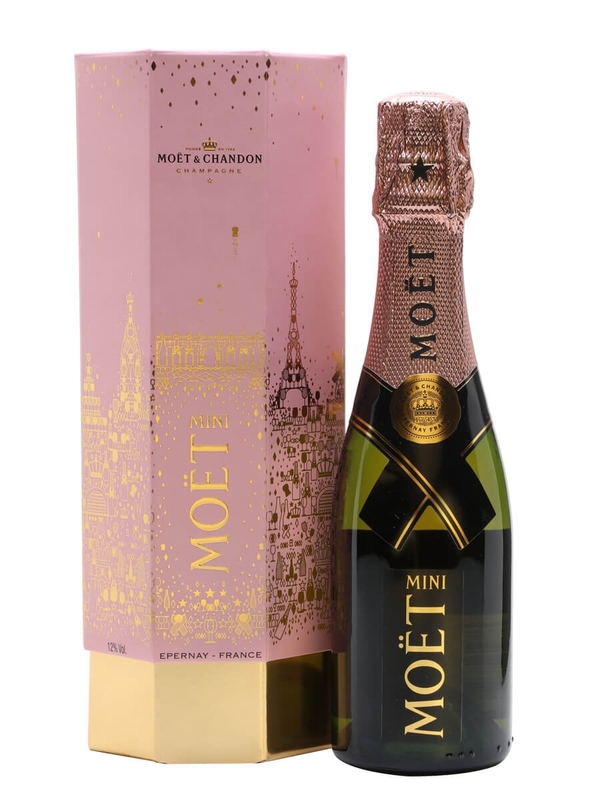 A snazzy, festive box containing a 20cl bottle of Moët Champagne, and a button-operated confetti cannon. Perfect for when you want Champagne here, and a riot of colour and surprise over there. 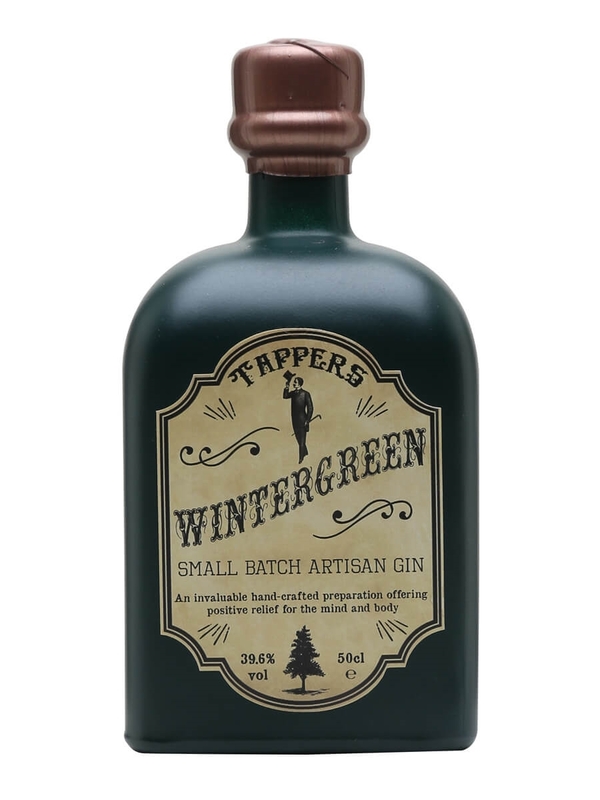 A wintry gin made only in the cold months using evergreen botanicals such as spruce needles and birch bark – perfect for sipping by an open fire. Quite aside from the flavours, Tappers is based in The Wirral. Wirral rhymes with squirrel, and squirrels feature prominently in pastoral Christmas card illustrations. NEXT. 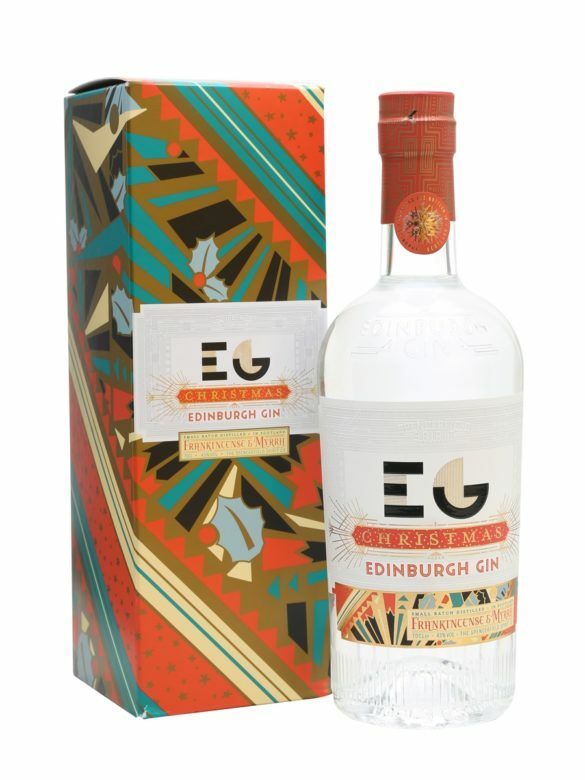 Frightfully festive gin made with actual frankincense and myrrh, not to mention nutmeg and orange. 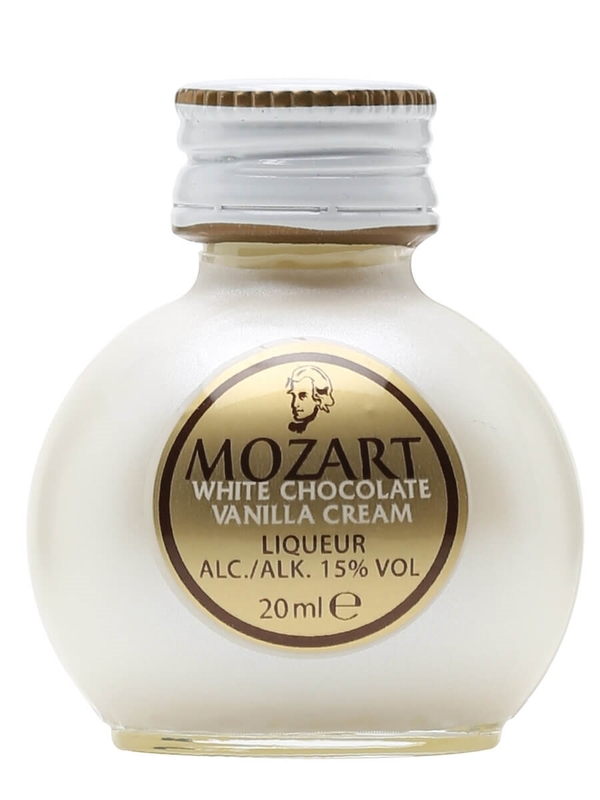 The perfect thing to add a Christmassy twist to a G&T, or put some in a Nazareth Negroni (too far? 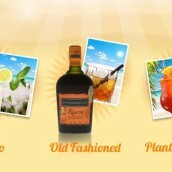 ), where the sweetness of the, once more, actual myrrh will complement the Campari beautifully. I mean, what to say? 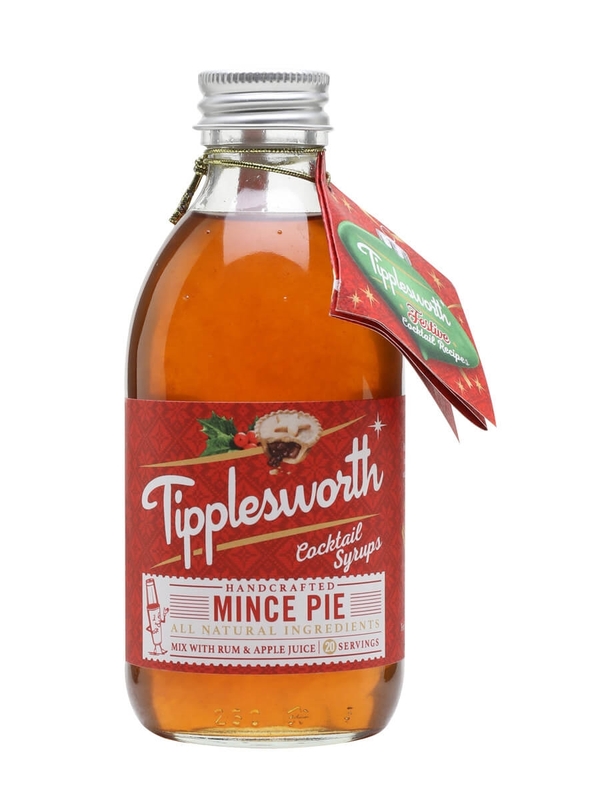 It’s a syrup made with all the ingredients of a mince pie: sugar, raisins, currants, apples, oranges and spices. 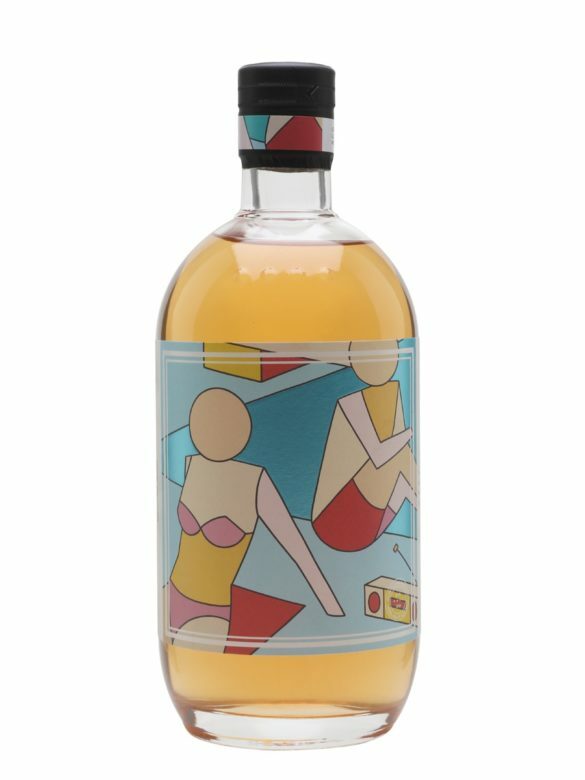 The serving suggestion is to mix it with rum and apple juice for a Mince Pie Martini, but we reckon you could just as easily sling it in your coffee for a festive morning drink. Biscuits in a bottle. Delicious, spiced coffee-accompaniments all crushed up and put into a bottle. Not really – we’re pretty sure it’s a tad more complex and sophisticated than that. 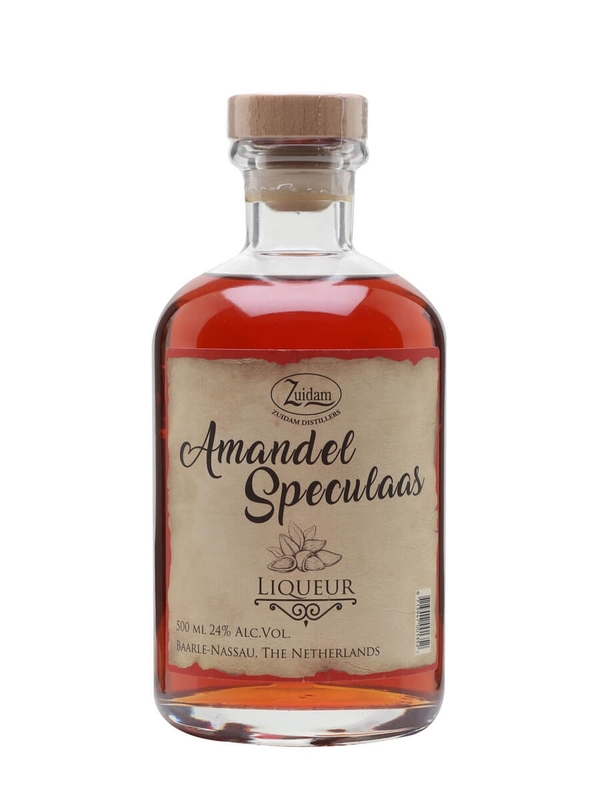 A liqueur harking back to the days of Dutch trade with the Orient, and the flavours that resulted: think cinnamon, ginger, cardamom, pepper and vanilla. For all the sweet, spiced deliciousness on offer though, it might as well be tasty smushed-up biscuits. 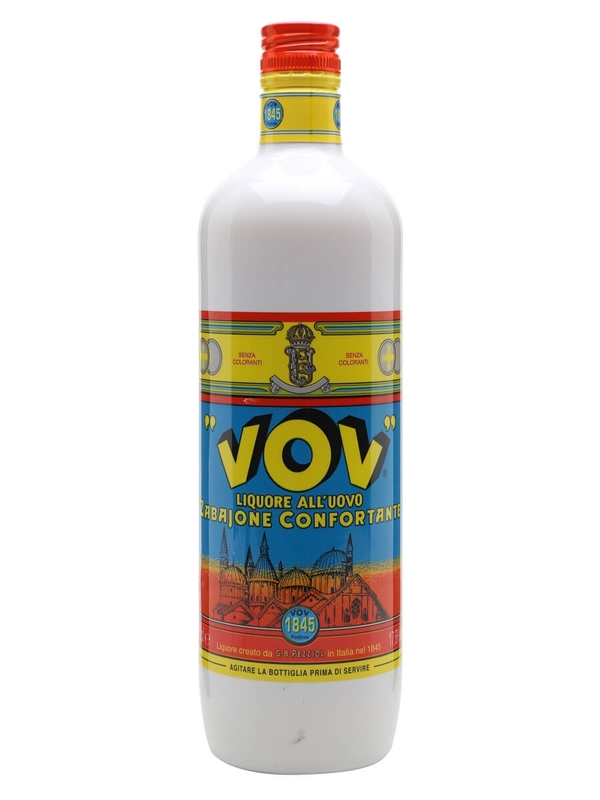 An amazing Italian liqueur made from Pellegrino Marsala, free-range eggs, sugar, vanilla and milk. Heat it up, cool it down, put it in cocktails, put it in coffee, pour it on ice cream; completely substitute it for custard in every instance; hell, just put it in a bowl and scoop it into your mouth with a spoon. An indulgent, pour-able dessert. So, there you have it. A comprehensive list of our Christmassiest drinks, ranging from the silly to the sublime. In need of more Christmas drinking suggestions? Take a look at our Christmas Guide.